AHA moments are sweet rich feelings when you realise something powerful, gain wisdom or experience new and life changing positive sensations. AHA moments leave lasting positive energy in us, they are transformation points in our lives. The following are some of Raj's AHA moments. Tip to make life easier! Choose the vibration of mercy rather than justice as a general rule. Justice can be severe as it is exact and we err. So if we want mercy apply mercy, if we want justice apply it. 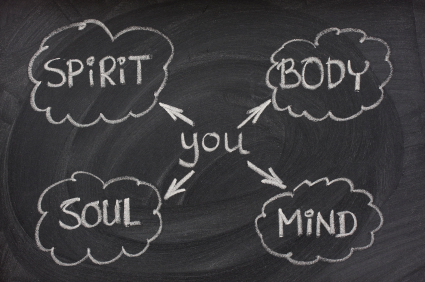 These days we are so out of whack, we need to learn to balance, soul, mind and body. We need to balance our thinking and daily life. More balance is needed in our thinking, decision making and actions. Ever think is it in my mind, my body or my soul? Sometimes our own wrong thinking compounds our bad feelings. These days people need to be open to the possibility that they brought upon depression upon themselves because of their soul. Is it physical, is it mental, is it emotional, is it spiritual? is it a combination? Having to learn lately that expectations are different to the goals we set because one is now, the other is Gods time. Moderating your expectations can resolve a tonne of issues within the various aspects of your life. It is one of the best tools in coaching. When you think of You or I, what do you perceive, visualize or think? Do you think of a body (wrong), or your mind (wrong), or your soul & spirit (right), or your negative emotions (wrong), or your fears (wrong) etc. Often our own wrong perception, thinking or visualizations stop us from moving forward. 1st Step: There was giant steps then baby steps, now there is the First Step in self development. If you are present you will appreciate it! Absolute or black & white thinking comes from limiting beliefs. Give yourself more options by balancing your thinking with relative views. A common thinking trap is to ask a black & white question which leads to black & white thinking. Be FLEXIBLE in your thinking for success. The Rules of Life: Since a teenager been searching for the "magic" rules to be happy. What did I learn? They are not the same for everyone! Learning: First you understand, then you integrate into your heart or unconscious. This may mean reconciling conflicting beliefs etc. It then becomes automatic, a habit. So you may understand but wont practice until you believe. Marketing Secret: The reality for most businesses is that a marketing plan is a series of small plans to create leads not 1 magic formula. Marketing Magic: Learn the spiritual laws in conjunction with the marketing laws & you will succeed like the mult-millionaires & be happy. Sincerity is a gift from the unseen, not something we ascribe to ourselves, otherwise that is ego. Being thankful for that is its price. We too often forget and trust every thought that enters our being and assume that we are trust worthy. So beware of your thoughts that enter unconciously. To increase consciousness learn presence. Presence is an increase in our energetic state that results in an increase in perception on many levels. It can be attained through various practices. Often we argue with someone because we fail to understand their thoughts & emotions. Try understanding them, it helps alot! More powerfully we forget that often people are reacting and hence unconscious of what they are doing to a degree. It is with this awareness that we can avoid judging people incorrectly whilst they are unconscious and better understand them.